At Massage Heights Newport Beach, our goal is to make your massages and facials affordable, relaxing, and beneficial to the health and well-being of your body. Our therapists are licensed, trained and experienced to closely work with you to understand your needs and how best to apply a treatment to your body. I had a massage last week 1-14-17 at 11 am. I checked in and made an appointment with who ever checked me in and reserved the same time slot this week 1-21-17 for 1.5 hours (confirmed by the attendant). When I showed up this morning... no appointment was recorded. I was looking forward all week to that massage and this week when I get there all I get is blank stares and no massage.. I was highly impressed with the services, staff and processes that Massage Heights has in place to ensure it consistently provides an exceptional service level. In addition, the skillset and professionalism of the massage therapists is top notch. My fiancé and I have participated in other similar memberships but love the additional items like hot stone, foot scrubs and aromatherapy that are offered within the Massage Heights membership. It has really figured out how to offer a spa like experience at very reasonable prices. 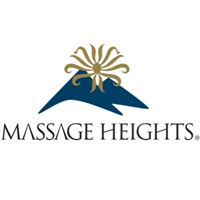 I have been going to Massage Heights in Newport Beach for almost 4 years now and it is an essential part of my routine!! The reception staff there are friendly and efficient and the therapists are wonderful! I have been going to see Kohei for massage on a monthly basis and he is hands down one of the best therapists I have ever had. I have also had a massage from Joy when Kohei was unavailable and she is fantastic! I would highly recommend Massage Heights if you're looking for a professionally run business that values your health and wellbeing. They also have a members' points reward program and discount on products they sell. Fabulous place! I have been going to the Massage Heights in Newport Beach for almost a year. It is extremely convenient for me to get to this location, but beyond that convenience, I go there at least once per month because of the how I am treated! This place is awesome!. The therapists are extremely professional and are some of the best I have ever had. The facility is clean and quiet. I especially like the elevations that I can select from. My husband and I have been using Massage Heights for over two years and have been extremely satisfied. I would highly recommend this company. Especially if you want to receive a great massage monthly. I am VERY Happy with my membership to Massage Heights!! I need a deep tissue masssge and they have several therapists that give a great deep massage. I have been a member for a couple years and I have never had a bad massage. Everyone, including the front desk, is very friendly and very professional. I highly recommend the Massage Heights in Newport Beach!!! I'm a member with Massage Heights and this was my first stop at one of the locations in California and it was great! Told Laura that my sciatic nerve in my left leg had been bothering me for days and in my 1-hour massage she'd managed to make the pain go away. She even gave me a great stretch that'll help if it ever comes back. I have been to a million places to get massages and it does not get better than this place. As many, I was skeptical about a massage chain that does memberships, but they do NOT disappoint and are NOTHING like Massage Envy! I have had lower back pain for years (since I was a child), have gone to about 4 doctors to help with the pain, had a plethora of masseuse try to help but nobody has ever been able to figure it out until yesterday. My masseuse was able to make sense of why my back was hurting and told me about wonderful stretches, she stretched me out and really focused in my problem areas! She had the perfect pressure and I could not have asked for anything more.